I was never really into dumplings, until I met Kevin. 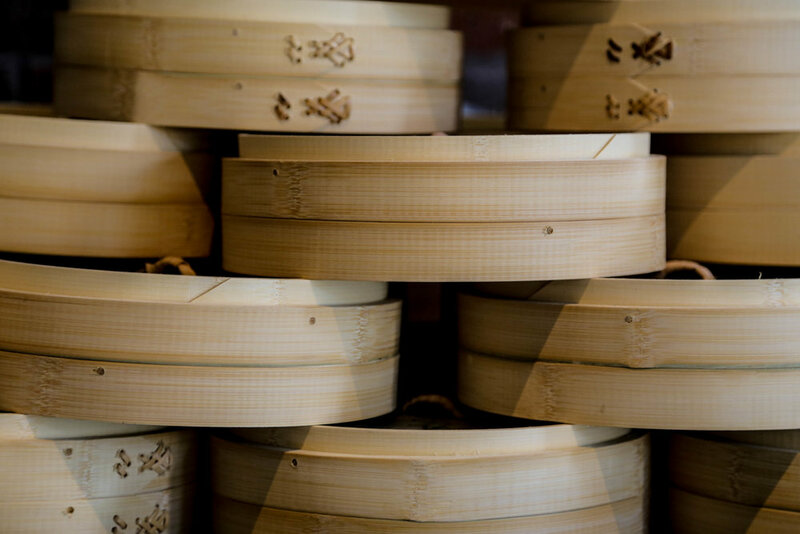 At all of my early yum cha experiences, I never knew what to order and I always stuck to what I considered to be safe - which was always a dish other than dumplings. In the 7 years we've been together, Kevin and I have been to dumpling restaurants all over Sydney and it's safe to say that I've fallen in love with these little bundles of tasty joy. These days, dumplings are one of our regular foodie habits. A few weeks back, I paid a visit to The Journal Head Office in Chippendale. As my birthday had been and gone, our GM Jamil insisted on an office outing to celebrate 2 birthdays; the newly appointed Editor, Madelin, and mine! (That's why we get along so well - we're born within weeks of each other, we love words and dumplings.) Madelin thought it would be a good idea to break away from the usual cafe we visit where the service has been a little lack lustre of late. Instead, we ventured into the new food quarters of Central Park, to one of Sydney's favourite dumpling establishments Din Tai Fung - and only a short walk away from the office. We saw that there was a limited truffle dumpling on offer. At $4.90 a piece, we ordered one each, and a selection of the regulars - vegetarian jiao, pork and shrimp, as well as pork and crab meat. The regular dumplings were outstanding, but that truffle and pork dumpling was simply divine. It was so beautifully balanced, and the flavour of the truffle was gentle. I especially loved sipping on the broth that came out of the dumpling after I pierced it in my soup spoon - think, truffle and pork broth. Ridiculous. As my main, I ordered the Shrimp and Pork Wonton Noodle Soup. At $13.80, this tasty soup was excellent value. The soup came with 5 large dumplings, a big nest of fresh noodles in a delicately flavoured broth. It's exactly what I consider to be the ultimate winter warmer, and just what I needed that day. Since then, I've taken Kevin back for dinner. We ordered the same thing that I had on my first visit, and in true PSS style, a mango pudding to finish. It's safe to say that this spot has officially joined our top three for Sydney Dumplings.